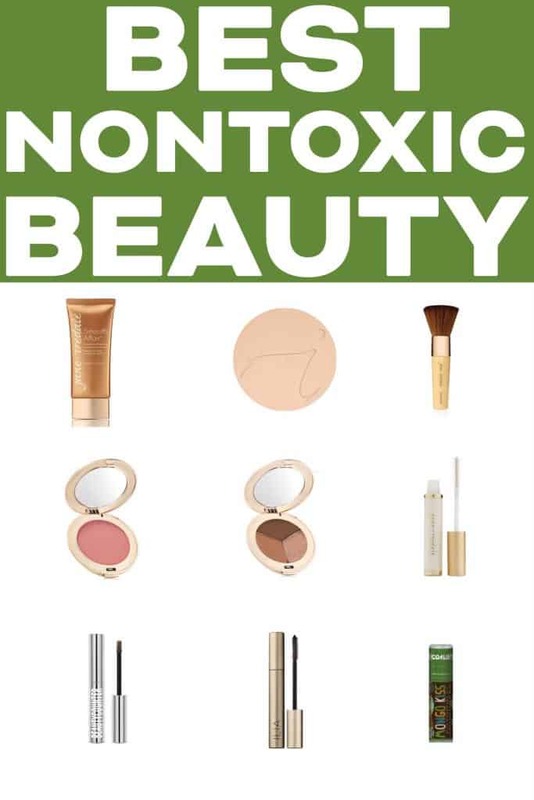 My favorite non-toxic makeup and beauty products that are natural and free of toxins, chemicals and fragrance. The best mineral makeup and natural mascara! The cosmetic industry is vastly under regulated. There are thousands of chemicals, preservatives and toxins that are in our makeup that are known endocrine disrupters. There hasn’t been any new beauty regulations since 1938. To be safe, I check all of my beauty products on the EWG database to make sure they are safe to use. I try and make sure the rating is 3 or lower. 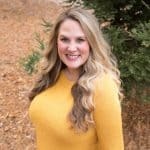 I’ve tried MANY makeup products to find what works best for me. I went through a ton that I didn’t like, but after many months I’m so glad I found a great makeup combination that I love, is safe for my health, and makes me feel pretty and feminine. Above is a video I recorded of myself doing my daily, daytime makeup routine showing you all my favorite products in action. I can do my makeup in about 5 minutes! Here is my nightly toxic free oil cleansing nighttime skincare routine I reference at the beginning of the video (The video is in the middle of the post). At the end of the video I reference my Hair Curl Hack Video for how I keep my curls to last for 7 days between washes, be sure to watch that video as well! 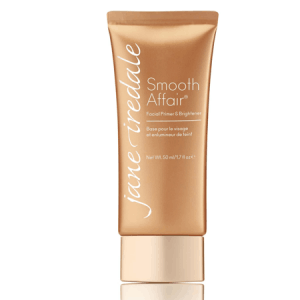 I love love love Jane Iredale products! They’re sold at Nordstrom, so you know they’re good. I start my makeup by putting on this primer. It makes my face smooth and even, and hides my pores. It also hydrates my skin, and smells great! It smells like grapefruit. It goes on smooth, and absorbs quickly. 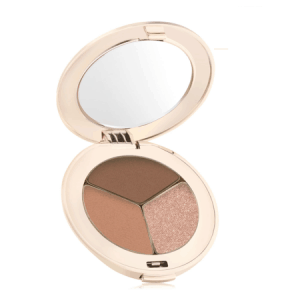 This mineral based pure pressed base is a foundation, setting powder, concealer and sunscreen all in one! I am obsessed! Immediately after putting on my primer, I put on this pressed base while the primer is still tacky. By doing so, it makes it kind of like a foundation, and the pressed base really adheres to the primer. When it dries, it looks so natural and beautiful! Your skin is glowing! There are SO many colors, so you’re sure to find the exact match you need for your skin tone. My skin tone color is “Natural”. The pressed base comes in refills, so there is less landfill waste. If this is your first time buying it, make sure you get the refillable compact as well. 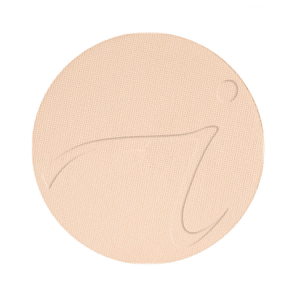 I love the Jane Iredale Handi Brush for putting on the pressed base. It was designed specifically for their pressed base, and spreads it on evenly and smoothly. For the ultimate savings, you can get this bundled Essentials Set that comes with the primer, Handi brush and refillable compact! 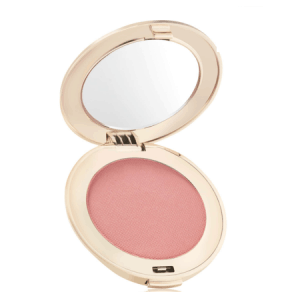 I love this mineral blush in the color Barely Rose. It is natural and perfect for my complexion. I use a basic blush brush I got at Target. Nothing fancy. I love the triple eyeshadow! It’s the perfect eyeshadow palette with complimentary colors. For daytime, my favorite is Sweet Spot. For date night, I love Sundown. Again, I use a basic crease eyeshadow brush from Target. This eyelash primer makes my eyelashes look so much fuller and thicker! I put it on before my mascara. I let it dry for a bit (while I’m doing my eyebrows). Then I put my mascara on top of it. It makes such a difference! This is the one makeup product from Beautycounter that I actually liked! This brow gel looks so natural, way more natural than a brow pencil or powder. I can put it on super fast too. Plus, I love that the gel holds my brows in place. I’m blonde, and use the shade Light – Neutral Beige. Sorry for screaming at your eyes, but THIS IS THE BEST MASCARA IN THE WORLD! Even better than the previous toxic one I was using. Finding a good non-toxic mascara took me the longest. I think I tried 10 different ones (my husband was so scared when he saw my credit card bill that month, ha!). All of them were awful. Gave no definition, would flake or smudge, gave me no length or volume. It was depressing. Then I found Ilia Limitless Lash Mascara and I fell in LOVE! It makes my lashes long, full, black and gorgeous. 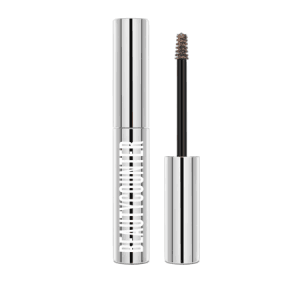 This mascara paired with the Jane Iredale lash primer is lash perfection! I’m not a lipstick girl. Not for me. I prefer a really natural look, and feel like I look too done up when I wear lipstick or lipgloss. I like the natural color of my lips just fine! I am a HUGE chapstick girl! I was so sad that my favorite chapstick had toxins. I found this chapstick, and I love it even more! Goes on smooth, keeps my lips hydrated with the most minimal shine, and bonus the flavor is peppermint so it kind of works like a mint! This is always in my pocket. Try the chapstick from Dr. Bronners – it’s my fave! I’ve never tried that one! I’m going to give it a try. Thanks for sharing! Hey Natalie, did you ever try the beautycounter clear brow gel or just the light one? Also, do you use any other BC skincare products (not including shampoo)? Looking forward to trying the ILIA mascara – did you use/like the BC mascara? Hi Molly! I haven’t tried the clear brow gel. But LOVE the tinted LIGHT – NEUTRAL BEIGE one! Darkens and fills in my brows for that extra POP! Sadly, I didn’t love any of the other beautycounter makeup. I’m not a foundation girl, and they don’t have any pressed base options. The beautycounter mascaras weren’t any good in my opinion either. 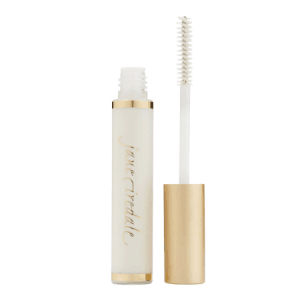 Or jane iredale mascara. I tried a bunch, haha! Ilia is by far the best mascara! I do love beautycounters charcoal face mask, overnight resurfacing peel and shampoo and conditioner! Thanks for the info! I’m so glad I read your reviews before I loaded up on Jane Iredale products. I bought the handi and eye brushes, and I bought the eyeshadow and also the blush in the multi-shade and love them! Also, the eyelash primer and face primer are magical! 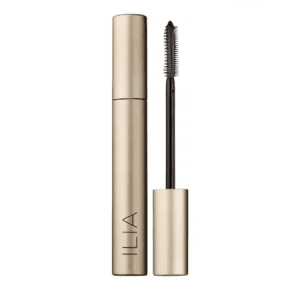 Even better is the Ilia mascara, and you are right, it is the best! It stays on, but comes off easily. Thanks for the recommendations! The one product I still need is a good night cream. I am nearing the end of one I like, Natura Bisse, but it’s crazy expensive, and I think I can find something that works on my sensitive skin without having to break the bank. You mentioned double cleansing with an oil; I’m interested in learning more. I am very simple with my skin care, so your process is intriguing.I’ll give the BC tinted brow gel a try, and maybe the charcoal face mask too. Thanks!!! I’m so glad you’re enjoying them Molly! Isn’t swapping over to nontoxic makeup so much fun?! Those are all my favorites too! I’m definitely loving my primally pure cleansing oil. It’s a makeup remover, cleanser, and moisturizer all in one! Can’t beat that! I also wear Beautycounter Overnight Resurfacing Peel every other night. It works wonders for your skin tone and pores and wrinkles! 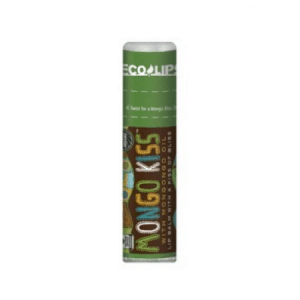 Also, I recommend trying the Olio e Osso lip balms that can double as blush – they are awesome to carry in a purse/bag if you’re someone like me who occasionally forgets to put on makeup in the morning! I should try those! Thanks for the recommendation!